A new remake of the movie “The Wolf Man” is set to be released in America soon (the Japan release date hasn’t been announced yet). I never cared much for the 1941 version. 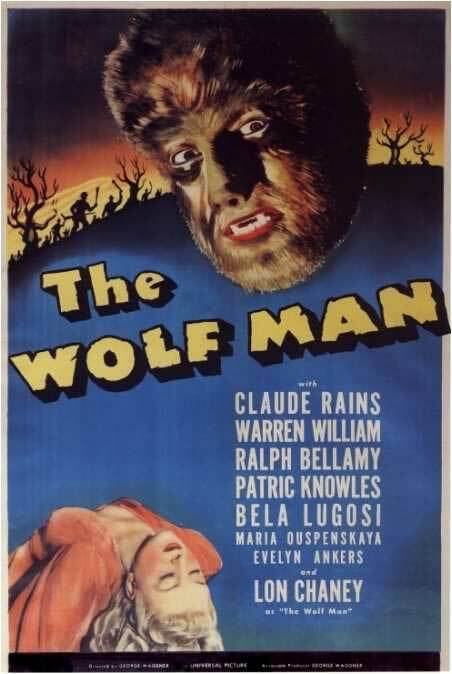 Movie poster for 1941's "The Wolf Man"
But I thought the 1994 movie “Wolf” starring Jack Nicholson was pretty good. (But I almost always like Jack Nicholson movies). 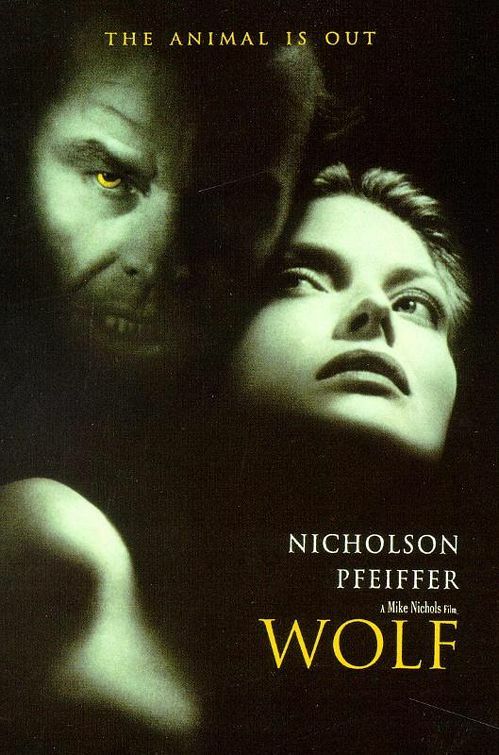 Movie poster for 1994's "Wolf"
But this 2010 remake of “The Wolf Man” looks like it’ll be quite good. 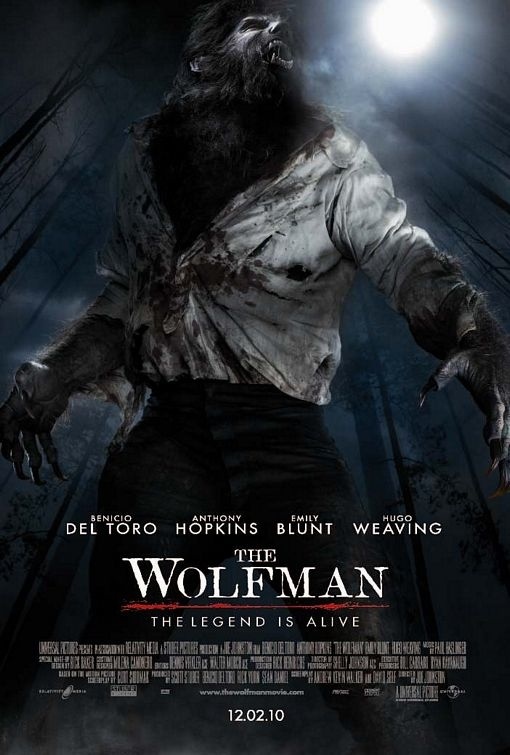 Movie poster for this year's "The Wolf Man"
It stars Anthony Hopkins and Benicio Del Toro as the “Wolf man”. 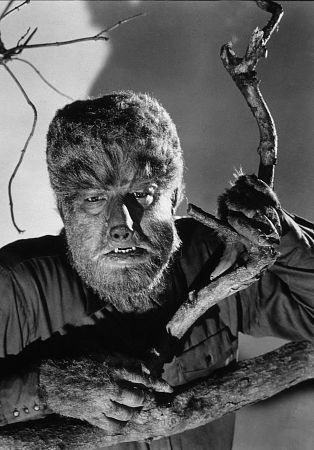 Lon Chaney Jr.’s 1941 “Wolf man” has become a pop culture icon…but with modern special effects and make-up, Benicio Del Toro’s 2010 “Wolf man” looks so much better. 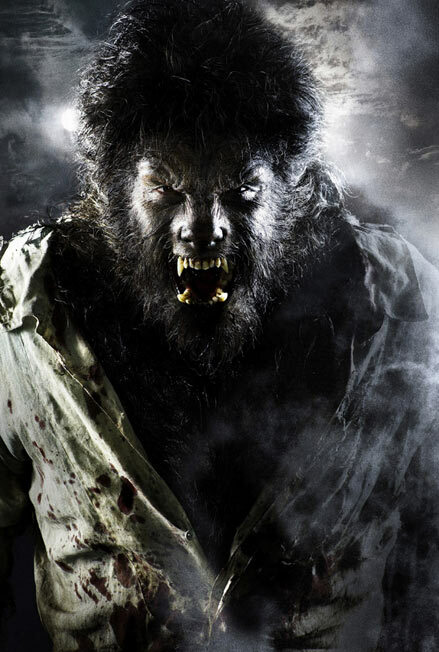 Anyways, it was reported that when making this 2010 remake of “The Wolfman”, the director wanted the best werewolf howl possible, so he auditioned many people to record them howl…and he finally decided to use the wolf howls of David Lee Roth (of the American rock band “Van Halen“) and Gene Simmons (bassist of the American rock band “KISS“). 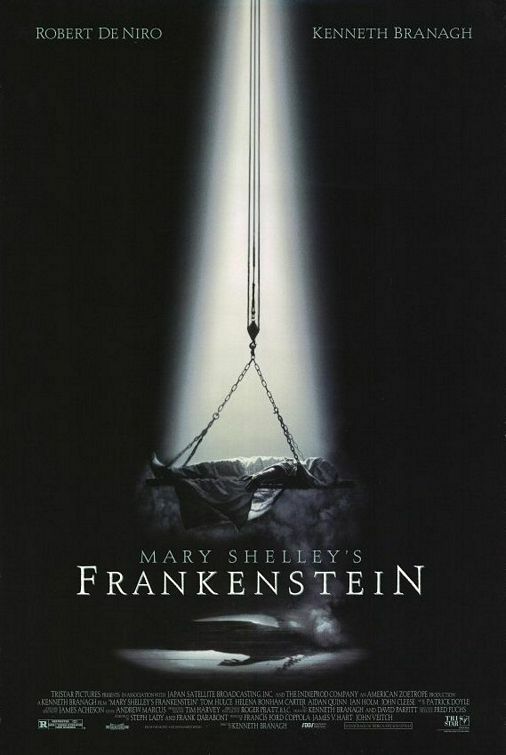 Another excellent remake of a classic horror film is the 1994 version of “Frankenstein” starring Robert DeNiro. 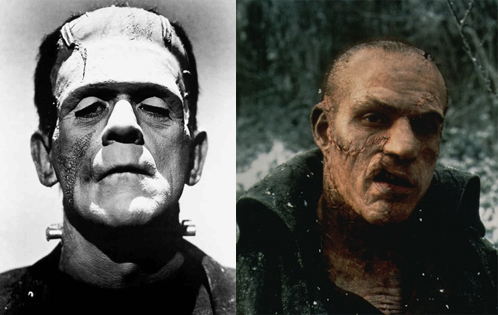 Movie poster for 1994's "Frankenstein"
Boris Karloff as "Frankenstein's monster" and Robert DeNiro's version. But I was disappointed with the 1992 remake of “Dracula” starring Keanu Reeves. 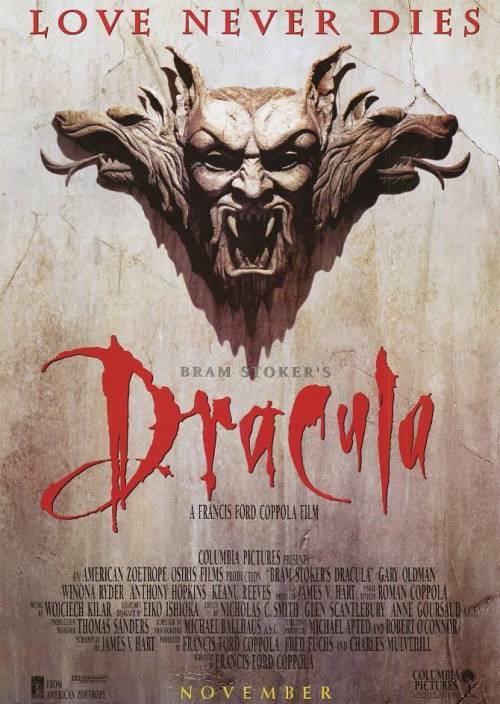 Movie poster for 1992's "Dracula"